I am so negligent in posting this square. I do apologize!!! I seem to be very good at over committing myself. 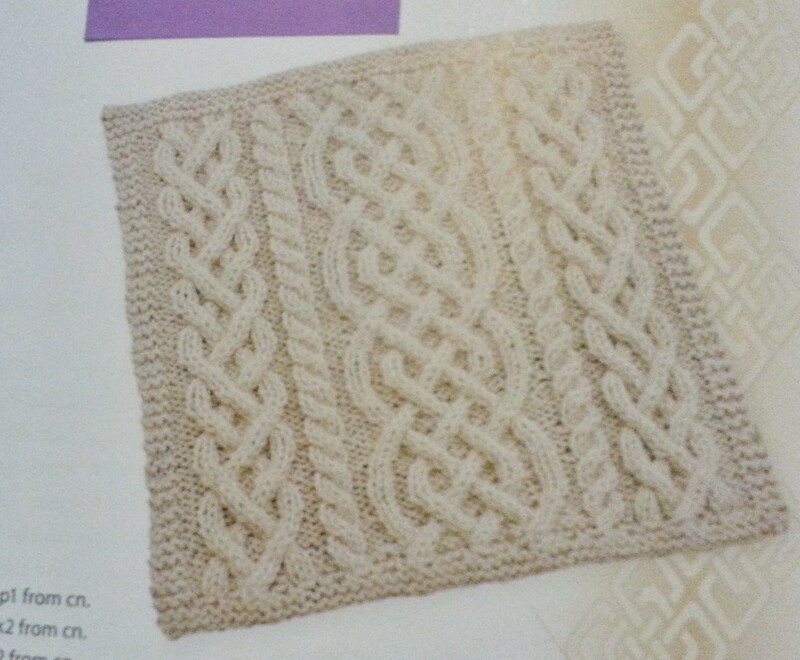 Square #7 is the Barbara McIntire design on page 44. This one will be more practice with plaits and twists. This cable pattern is a Saxon braid which includes cable crosses and traveling stitches. There are three braids and two cables on a purl background. If you’re just joining this knit-a-long please find the links to the previous squares on my Past Blog Posts & Video page. And please join The Great American Aran Afghan thread in the Jimmy Beans Wool group on Ravelry. Have fun and as always please ask for help when you need it. This entry was posted in Knit A Longs and tagged Cascade Yarns, decrease evenly, increase evenly, Knit A Long, ravelry, The Great American Aran Afghan. Bookmark the permalink.